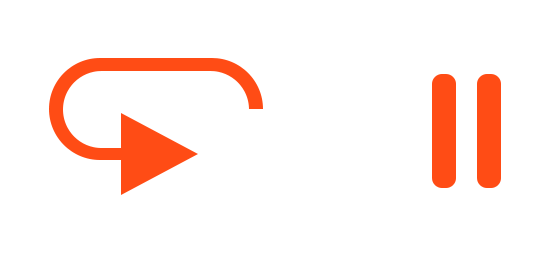 There's the usual Play button: a right arrow. There's the usual Pause button: two bars. However, I want to have a "Play, but from beginnning" button. When you want to "play, but from the beginning" you have to: bring the slider to the beginning, before hitting play. That is annoying. It would be better if there was a "play, but from the beginning" button. What should the symbol be? Does that get anyone thinking? It's not really very good: the one on the left probably suggests "cycle around in some sense" It's hard to express "go back to the frickin' beginning and then Play"! Complication: most editors additionally have a "Play, but fullscreen" concept, yet another play-related button. 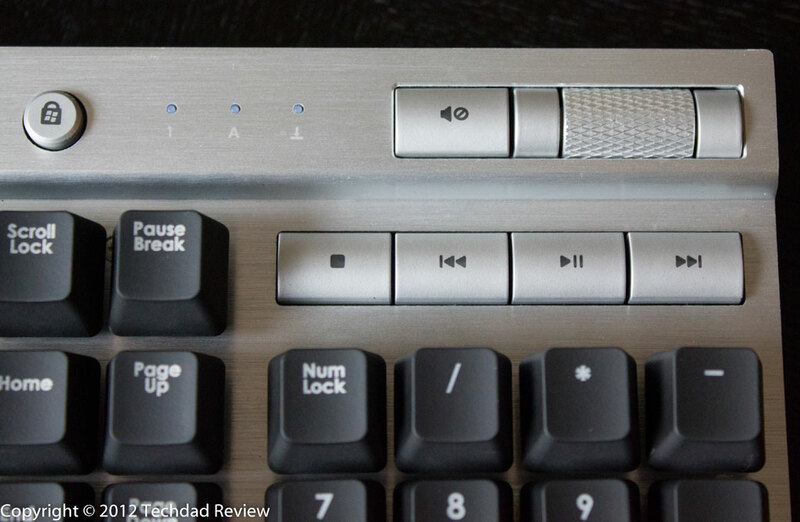 Bonus: If there's a keyboard, space-bar usually toggles Play/Pause. Is there a good keyboard UX for "Play from beginning"? 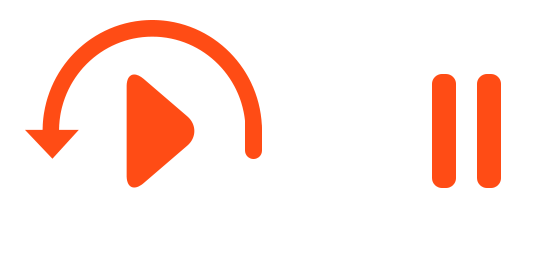 I agree with many around here that it is possibly best to stick with the icons that are so common for media players. However I understand the problem you try to solve. Mixing both icons could be a nice solution. But as always; testing is knowing! The circle encapsulating the easily recognisable play triangle is pointing in an intuitive direction: anti-clockwise, implying that we are going back in time. The button as a whole still means play but we use the arrow to infer a different meaning. The evolution of the previous version to this one looks a lot like one of Crissov's examples in his answer, which again adds weight to the representation of this design. Here's one last example that places the controls on the timeline. Its a bit of fun more than anything else, but the icons flow with the timeline, interrupt the timeline or redirect it. It is quite a departure from normal conventions, but an enjoyable thought experiment nonetheless. KRyan in the comments asked for a usage scenario so here is an example mocked up with YouTube. IEC 60417 is a standard for symbols to put on electrical devices (TVs, VCRs, washing machines, MRIs etc.) and ISO 7000 collects these. Each costs around 100 bucks, but there is a free preview PDF. It’s the closest I could find that would standardize the common playback controls like play ▶️, pause ⏸, play/pause ⏯, stop ⏹, fast forward ⏩, rewind ⏪, skip/next ⏭, prev ⏮, record ⏺. It covers all of these and more. 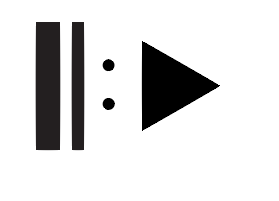 The standard even offers two variants for many of the media control icons. Alas, the symbols in actual use are rather a mix of both, e.g. the equivalent of playback in the standard #5107A/B: Normal run; Normal speed is either an arrow with a hollow equilateral triangle as head ⇾ or a filled isosceles triangle ►, whereas commonly a filled equilateral triangle ▶ is used (all pointing right). Those come both in a single variant, but are based upon the different Normal run variants. Standards – go figure. I obviously don’t recommend to follow standards blindly, especially when they obviously have been adapted with a bit of freedom by the industry. (Other parts of the standards are followed slavishly in respective areas, though.) Also, as I’ve shown, the standard symbols don’t seem to be consistent all the time. My actual suggestion would be to use an #5459 Eject symbol ⏏ turned a quarter-circle clock-wise, filled or hollow as fits the visual scheme. 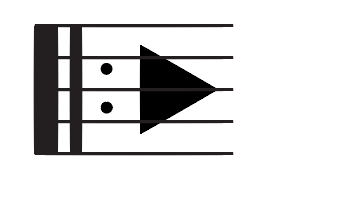 Reasoning: The vertical bar on the left then indicates an earlier cue mark, which is the start of the current track by default. There’s a similar IEC symbol #5471 Frame by frame, general with two thin lines. Note that the more familiar variant of ⏸ #5111B Pause; Interruption is just as hollow as the triangles (or the Stop square). PS: The ISO/IEC 9995-7 standard symbol for the Home key is ⇱. ISO 14915-2 Software ergonomics for multimedia user interfaces — Part 2: Multimedia navigation and control This standard is more about the concepts than the symbols. ISO/IEC 11581-1, -6 User system interfaces and symbols — Icon symbols and functions — Part 1: Icons — General Not about multimedia control, this standard deals with common icons for office and generic applications, e.g. Open, Save, Print, Bold. Traditionally, the 'previous button' is used. 1 click returns to the beginning of the clip, and a double click goes to the beginning of the previous clip. Holding could also jog back. How about this.. It shows 00:00 , meaning the beginning of the clip. This probably IMO is easiest to understand for a general user.. without using loop symbols etc. Edited based on comment from Crissov. Play .. play from "where the head is now". We're still in edit concept. 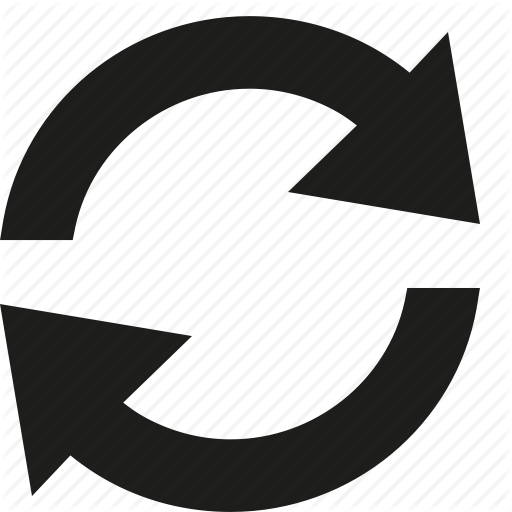 Try this icon for simply restarting from the beginning. Try .. Leave edit concept (so, things could happen like "widgets disappear from screen" "we go to full screen" or whatever), and play from beginning to end; at end, likely revert to edit concept. If something has been edited, just show a checkbox Check this to save on Play. If user doesn't select it, then changes will be lost. This is a fascinating exercise. Great question. As this is a take on the skip back control which is a standard media playing control. You could incorporate a progressive disclosure icon into that skip backwards icon. When held the additional options would appear. When single clicked the main action would initiate i.e. normal skip to start and would stay paused if currently paused. When tap/clicked and held down, a menu of additional options would appear which would include your skip back and play option. You then hover across and release on your option of choice or tap if touch screen. This little arrow in the corner can be seen in programs like Photoshop/Illustrator. I've also seen it in Apple Xcode on the Run app button, when held Test, Profile and Analyse also appear as options. As Run is the predominant action in Xcode this has the main prominence, the other 3 actions are less common but still accessible when clicked and held. After reading some of the comments and answers and realising you want this button to skip to the start and start playing even if paused I realised maybe youre trying to invent a control that isnt necessarily needed by the majority of users (an assumption) and also would add more elements to the UI and potentially cause confusion and clutter. 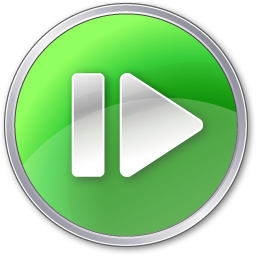 From my experience when you are currently PAUSED and you use a skip control, the media will not automatically begin playing after skipping. So an alternative idea is to offer an option in a settings area on your UI to turn auto play on/off. 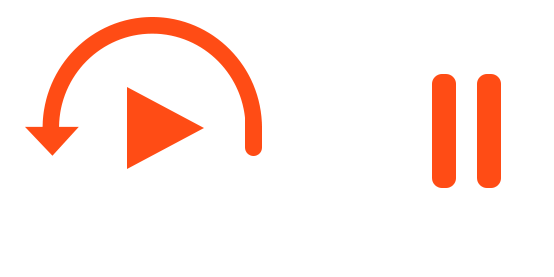 Therefore users that might benefit from the autoplay after skipping function can turn this on, and users that want a conventional skip and DON'T autoplay can have it turned off. And everyone gets to use a standard media playing UI without a brand new control that could cause confusion to some users if its unrecognisable. In theory, these are used to navigate between items. In practice, skip backwards more often means "go to the beginning of the current item, and if we're already there, go to the beginning of the previous item instead." You could eliminate the "if we're already there" part and just use it for "go to the beginning." To answer the keyboard UX question, HOME is often used to go to the beginning of a media clip. Show then it would be HOME SPACE to skip to the beginning and play. I think that my idea may give you a little different view of this button. Basically, my idea is very similar to the v1 of Chris Spittles's version, but the button should contain the progress bar (e.g. when you are around 50% of the progress, the button should look like in v2, but when you reach 90-95% of progress, it should look like in V1. Edit: I realize this could be interpreted in ways that you might not want. 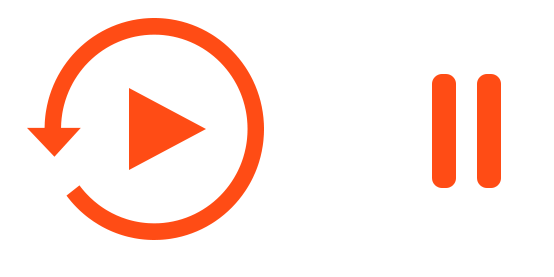 Here the Play button could toggle between play and pause, while the first button will always play from the beginning. 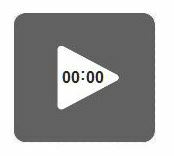 These examples are from a set of icons called Diagona Icons Copyright (C) 2007 Yusuke Kamiyamane but I did modify the "play from beginning" button to suit this example. Or even with the 'real' note bar? In my opinion, the second one works strongest and connects best to previous ideas. Opening bracket [ for the beginning, ► for playing. Also, there's a Home button on most keyboards that does what you'd expect. The icon should visually represent the action(s) performed when clicked. The icon below is the most clear representaion of these two actions in sequence. This shows 'go back' leading directly into 'play', and nothing following play. 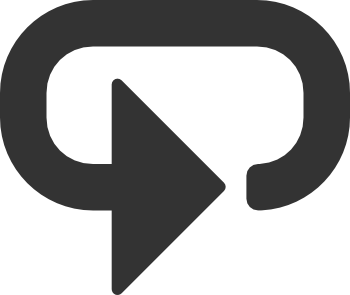 Other icons that do not show the connection and sequence could be interpreted as representing a different action - e.g. 'play then repeat'. You should test this with your users. 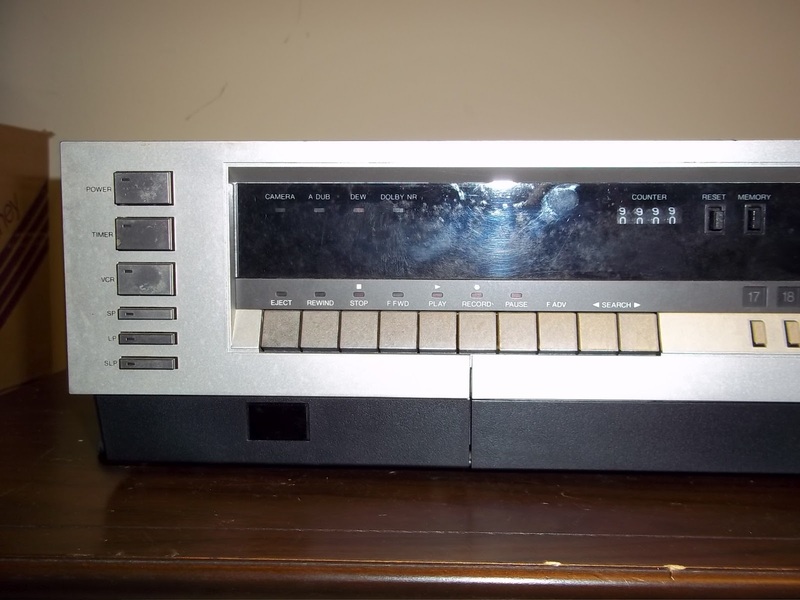 You might discover that they find the extra play buttons confusing, and prefer to click play, and then click the go-back-to-start button - because that is what they are used to when they operate a TV remote. This way, you only need a regular play button, and if anything, just highlight the "pause" button to denote position. Good proven old school design. Have you considered a textual "Play from start" button? Every one of the proposals here is worth conducting user testing on and collecting analytics for. If none prove to be adequately recognizable, a textual button might be the best solution. I propose having three symbols. If other action-symbols are appearing in buttons, then place all three of these symbols into a single button a button (a circle or (square) rectangle). This may be cramming things a bit, which could be counter-acted by using smaller symbols. However, those downsides would be countered by the benefit of clarity of meaning. 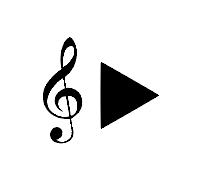 Using these symbols is sort of like ideogram's answer but designed for people who can read and write paragraphs, not music notation. How about having a "bookmarks" panel, with a means of setting a particular bookmark as a default, and then having a "play bookmark" button on the scrubber control? If there is a default bookmark at the start of the piece and no other bookmark is set, "play bookmark" would replay from start. If, however, any other bookmark is set as the default, "play bookmark" would play from there. On Youtube, you can hit 0 and skip to the beginning of the video. If it's not playing already, but paused at some other point, you only need to slap Space. The "regular" hotkeys don't work reliably every time because sometimes the browser focuses on the trackbar or you clicked the page, and the player isn't getting those key presses, so pressing Space might do a "page down" scroll instead. So press K to play/pause instead. …You can press Stop and then Play. 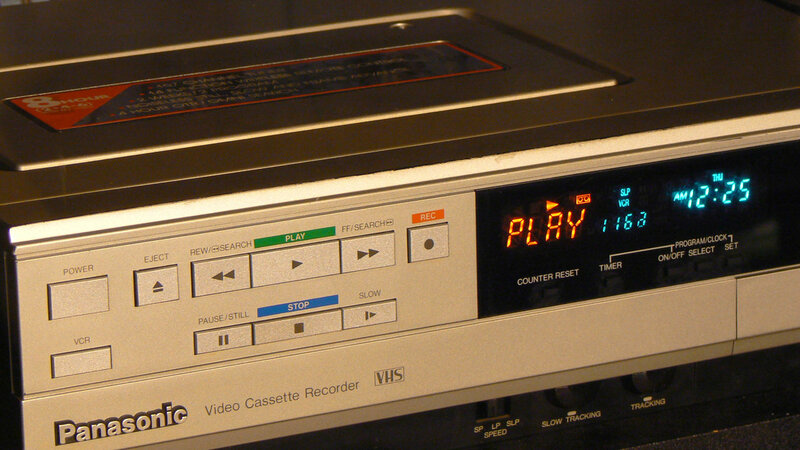 If you don't have those extra keys, media players usually understand pressing the Home key as "go to start". So this is usually a 2-key job if you're paused, unless you're already playing. Not the answer you're looking for? Browse other questions tagged buttons icons symbols interactive-ui or ask your own question. Iconography for Beginning and End points? 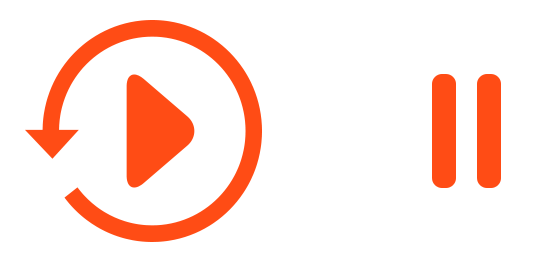 Is this play video button placement confusing? What's the symbol for the “locate me” button?